Hector Vivas/Latin Content/Getty ImagesNetflix CEO Reed Hastings. The workplace culture of “radical transparency” at Netflix can be perturbing for some employees, as The Wall Street Journal published in a lengthy report on October 25. One workplace practice at Netflix is to conduct “postmortem” meetings and emails, which explain why an employee was fired. 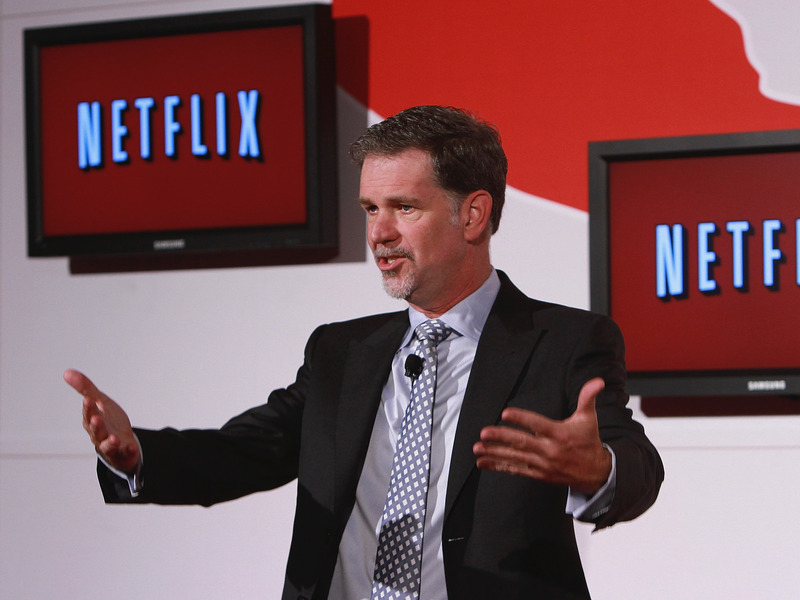 “Being part of Netflix is like being part of an Olympic team. Getting cut, when it happens, is very disappointing but there is no shame at all,” the company told the Journal in a statement. After Sean Carey got fired from his role as a vice president at Netflix, he attended his own postmortem. That’s Netflix slang for a meeting or email that details why you were fired, as The Wall Street Journal published in a lengthy report on October 25. WSJ reporters Shalini Ramachandran and Joe Flint interviewed more than 70 current and former employees for the piece on Netflix’s culture of “radical transparency,” and how it’s fared as the company has expanded. At Carey’s postmortem, Netflix’s chief content officer Ted Sarandos explained to 40 to 50 people on the content team why he was fired. Sarandos said Carey, while he played an important role in building the website’s streaming library, lacked the creativity needed at Netflix as the content behemoth transitioned to original content. Attending one’s own postmortem isn’t typical. Several other highly-successful companies have come under fire for similarly public termination practices. At Nike, an entire division was laid off via PowerPoint, as some former employees alleged to The New York Times in April. Others have taken a similar approach to Netflix when it comes to being transparent about an employee’s flaws and failures. Some Amazon employees can appeal their firings to keep their jobs or get a new one with a different manager, Bloomberg Businessweek reported in June. Around 30% actually succeed. As for Netflix, the Journal reported that the entertainment juggernaut prides itself on its unique corporate culture, which rewards blunt feedback, and links that to its global dominance of 137 million subscribers. And if you’re fired, that’s nothing to be ashamed of, Netflix said. Perhaps you just didn’t cut it. Read the entire article from The Wall Street Journal here.